A late free throw by Kennedi Greenfield pushed the lead to four points, ultimately sealing a win and the fourth-place trophy at last year’s state 2A girls’ basketball tournament for Black Hills High School. 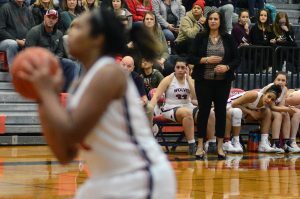 Tanya Greenfield, Kennedi’s mother and the Wolves’ coach, had always been able to separate those two roles whenever she and her daughter stepped onto the court. But this time, the moment Kennedi’s free throw went in, the coach side was nowhere to be found. Tanya was in full-on proud mom mode. Moments after the teams left the court, Tanya and Kennedi posed for photos with the Wolves’ newest hardware. It marked the third consecutive year Black Hills placed at the state tournament and the program’s best finish in 15 years. 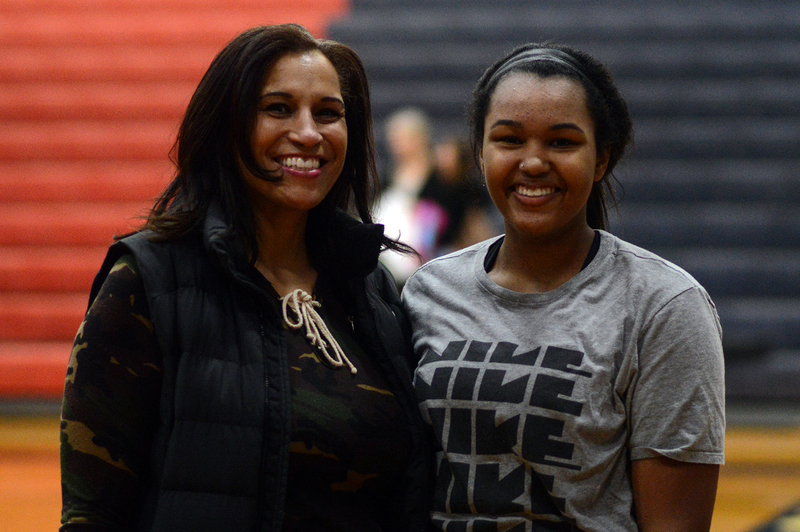 Now a senior, Kennedi is hoping to add even more unforgettable moments with her mom on the hardwood during her final season. It’s certainly not out of the ordinary to have a father coach his son at the high school level. You even see the occasional scenario where a dad coaches his daughter. 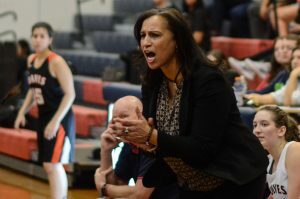 But a mother being her daughter’s head coach is something of a rarity – and something that both Tanya and Kennedi say increases the specialness of their relationship. While she now proudly wears the Wolves jersey, Kennedi grew up believing she would one day be a Mountain Goat. When she was five, her mother began her coaching career at Chelan High School. Tanya immediately helped build the Mountain Goats into a perennial state playoff team in the 1A ranks, and young Kennedi was there every step of the way. Tanya had been away from the sport for nearly a decade before being ushered into the coaching ranks by a former college coach. 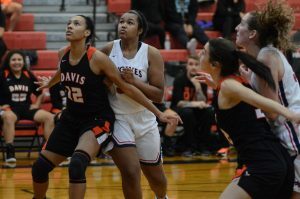 She was a standout at Sehome High School in Bellingham before eventually playing collegiate level at Wenatchee Valley and Saint Martin’s University. Once her playing days with the Saints ended, she took what she described as a “detour to Atlanta for 10 years.” During this span, her life was void of basketball. It wasn’t until she moved back to the Wenatchee area that she made her return to the sport, and even then, it was by surprise. The same could be said for Kennedi, who dreamed of one day playing for her mom as a Mountain Goat. The latter did come true, albeit it in a different town, but it wasn’t long before Kennedi warmed up to her new surroundings. For Kennedi, this year’s senior class at Black Hills is almost one big extended basketball family. Prior to being coached by her mom, Kennedi was coached in youth basketball by the fathers of teammates Alexa Bovenkamp and Maisy Williams. 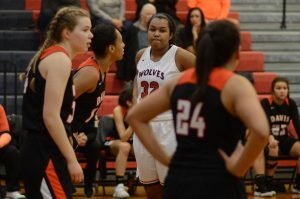 With the regular season hitting the midway point and the Wolves looking to defend their 2A Evergreen Conference title and claim a state trophy for a fourth straight year, Tanya gets to do both. Next articleJennifer Penrose Answers: What is the Fastest, Easiest, Cheapest Way to Decrease Chronic Systemic Inflammation?